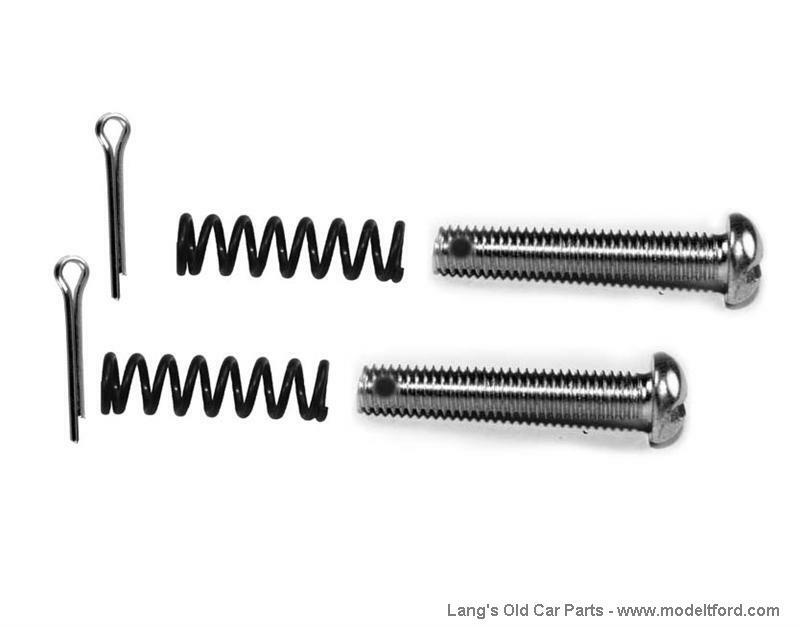 This set includes 2 each of the following: Headlight focus screws, Headlight focus screw springs and cotter pins. The screws are drilled for a cotter pin. They pass through the headlight bucket and then the tab on the headlight timble socket (part# 6574X). The cotter pin is used to keep the focas screw from unscrewing from the socket.